Into The Box Is Just 5 Weeks Away! Happy Friday to all! We are excited as Into The Box 2018 is right on our heels at just 5 weeks away. We still have 3 workshops that are availble to sign up for and two full days of spekaing sessions about the latest in the world of Coldfusion. It's not too late to sign up if you haven't already because we are offering a special discount just for you. The Late Bird Discount is for all who think the early bird is just a little to eager. So sign up today and join us in modernizing Coldfusion together! Luis Majano is a Computer Engineer born in El Salvador and is the president of Ortus Solutions. His background includes over 16 years of software development experience, architecture and system design. Also, he is the creator of the ColdBox Platform! Take a look at his multiple sessions as an Ortus Keynote Speaker! 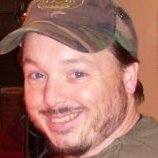 Brad has been programming ColdFusion for 12 years and has used every version of CF since 4.5. He first fell in love with ColdFusion as a way to easily connect a database to his website for dynamic pages. He enjoys configuring and performance tuning high-availability Windows and Linux ColdFusion environments as well as SQL Server. Check out his plethora of sessions! Ed has been a ColdFusion developer since 2000, first using version 4.5. He is currently co-manager of the Chicagoland CFUG and previously co-managed the Nebraska CFUG in Omaha. While he has not spoken at a conference before, he has given several presentations to both groups. Ed has been a regular attendee of many conferences over the years including Devcon, Max, bFusion, CFObjective, Into the Box, and CF Summit.